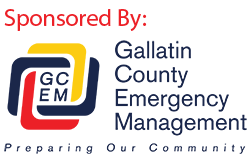 Gallatin County Sheriff’s Office received a report on Monday, Feb. 25th of a white vehicle, possibly a Honda or Subaru with front end damage, driving slow and possibly following a student in the River Rock area. No license plate, description of the driver or occupants was provided. There was no contact made between the vehicle and the student. Gallatin County Sheriff’s Office deputies have been patrolling the River Rock area and all schools through out the county, and will continue extra patrols. As always everyone should be alert to their surroundings and report any suspicious activity to Law Enforcement.